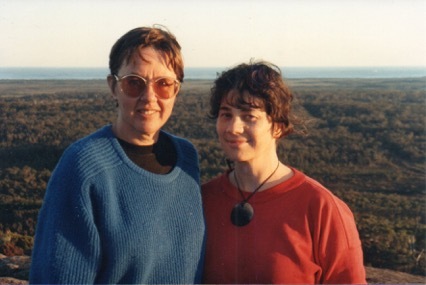 Patricia Crawford (1941-2009) and Philippa Maddern (1952-2012) were pioneering scholars in the fields of feminist medieval and early-modern history in Australia, as well as proud mentors to female scholars in the fields of medieval and early-modern studies. To promote practices of gender equity within our peak organisation, ANZAMEMS (Australian and New Zealand Association for Medieval and Early Modern Studies), as well as during the biannual conference for this organisation. To host networking events for female and female-identified scholars from Australia and New Zealand. To enable virtual networking advice, and information sharing, by means of social media interactions. To match senior and junior scholars of shared intellectual interests. To aggregate data on female participation, at every level, in the field in Australia and New Zealand. Profiles can be viewed by selecting a name in the menu below. Membership is available to female and female-identified scholars working in Australia and New Zealand, who are members of ANZAMEMS. It is open to all career stages from postgraduate onwards. Our group communicates through a social media platform Loomio. Please email clare.monagle@mq.edu.au to join, as well as providing a brief biography of your career stage, as well as your research interests. Patricia Crawford. Parents of Poor Children in England 1580-1800. Oxford: Oxford University Press, 2010. Patricia Crawford and Ian Crawford. Contested Country: A History of the Northcliffe Area Western Australia. Nedlands, WA: UWA Press, 2003. Patricia Crawford and Philippa Maddern (eds.). Women as Australian Citizens: Underlying Histories. Melbourne: Melbourne University Press, 2001. Patricia Crawford and Laura Gowing. Women’s Worlds in Seventeenth-Century England: A Sourcebook. London: Routledge, 2000. Sara Mendelson and Patricia Crawford. Women in Early Modern England. Oxford: Clarendon Press, 1998. Patricia Crawford. Women and Religion in England 1500-1720. London: Routledge, 1993. Laura Gowing, “Patricia Crawford”, The Guardian (26 May, 2009). Charles Zika, “Patricia (Trish) Marcia Crawford (1941-2009)”, The Australian Academy of the Humanities: Obituaries, pp. 77-81. Andrew Lynch and Philippa Maddern (eds.). Venus & Mars: Engendering Love and War in Medieval and Early Modern Europe. Nedlands, WA: UWA Press, 1995. Philippa Maddern and Penelope Hetherington (eds.). Sexuality and gender in history: selected essays. Nedlands, WA: Centre for Western Australia History at the University of Western Australia, 1993. Philippa Maddern. Violence and Social Order: East Anglia 1422-1442. Oxford: Clarendon Press, 1992. “Vale Philippa Maddern”, The Australian (June 23, 2014). Matthew Champion, Michael Champion, Jane Davidson, and Andrew Lynch, “Remembering Pip”, University News (17 July, 2014). Charles Zika and Susan Broomhall, “Philippa (Pip) Maddern (1952–2014)”, Australian Historical Studies 45.3 (2014): 450–51.